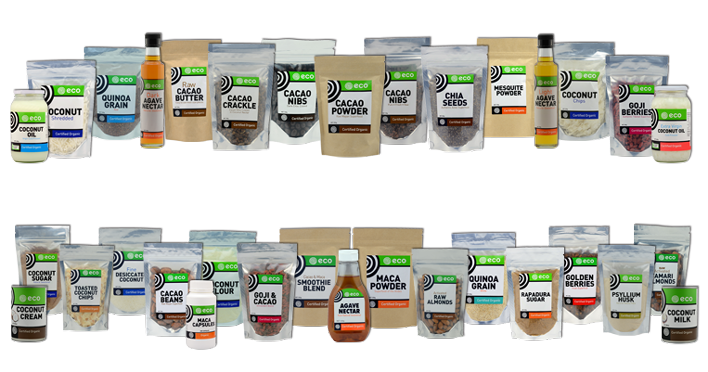 Eco Food Organics is a wholly Australian owned business committed to offering the very best natural, pesticide free and certified organic foods. Our aim is not only to offer the finest, nutritious whole foods but to do so by dealing with FAIR TRADE Companies around the world thus ensuring that people are being paid a fair wage for their work. By sourcing premium quality, raw ingredients from around the globe our dedicated team are able to offer you wholesome, delicious and nutritious foods while keeping the welfare of our planet and its people at the forefront of our principles. From our multi award winning organic virgin coconut oil that will be available soon, to our Fair Trade Organic Criollo Cacao products, our principle of maintaining excellence is your assurance of Quality. Copyright 2011 Eco. Website design by Swish Design Perth.